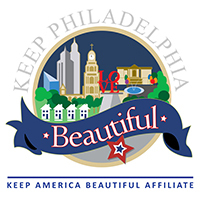 PHILADELPHIA, August 16, 2018 — Keep Philadelphia Beautiful, a citywide nonprofit that convenes, equips and empowers people to use community beautification to achieve vibrant neighborhoods, announced today that Michelle Feldman, its executive director, will be leaving the organization. Her last day with Keep Philadelphia Beautiful will be Friday, August 24, 2018. Feldman, who joined Keep Philadelphia Beautiful in 2013, will be furthering her career in statewide housing advocacy. “The entire Keep Philadelphia Beautiful family is proud of Michelle, and we thank her for her tireless work and contributions to making Philadelphia a beautiful city to live, work and play,” said Land. To build on Michelle’s legacy, Keep Philadelphia Beautiful’s Board of Directors is conducting a search for the organization’s next executive director. For additional information and to apply, visit www.keepphiladelphiabeautiful.org.